My daughter just started solid foods. It’s an exciting time and has been so much fun watching her try something she has never experienced before. There are so many “firsts” with a baby and I am loving every single one of them. When I first when to the store to peruse the baby food aisle I was overwhelmed. There are so many choices! How would I choose? How do I know I’m picking the right one? I looked around for a while, went home and did a little more digging online and found the one I would start with. 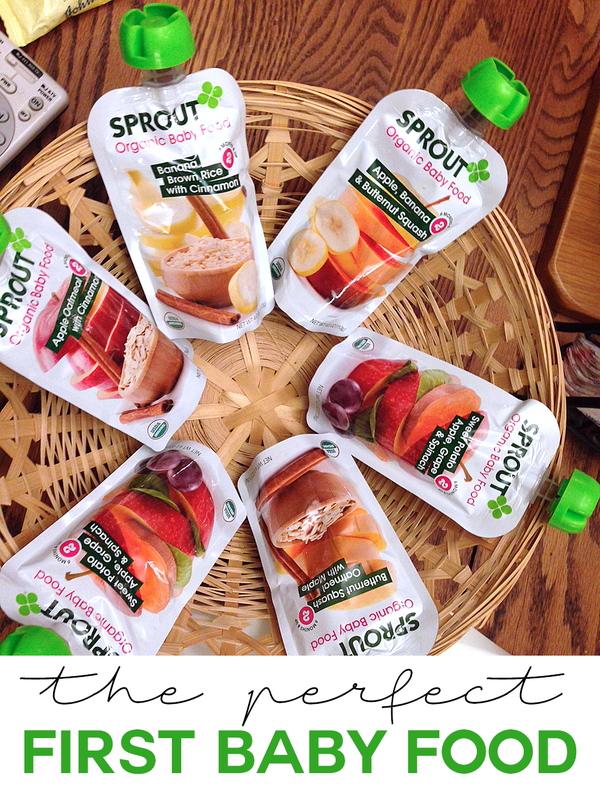 I chose Sprout® Organic baby food. The stage 2 foods are perfect for a baby 6 months an older. They have several delicious combinations including veggie blends, veggie and grain blends, fruit and veggie, & fruit and grain. (I think so far her most favorite is the apple, banana & butternut squash.) When we’re ready to try new flavors and textures, we can move up to stage 3 and make our way all the way up to toddler food as time goes by. One of my biggest requirements for baby food is that it is organic. My sweet daughter is way to precious and important to me to be fed something I don’t think is good for her. Sprout® Organic is made with certified organic ingredients and contain no preservatives, artificial colors, flavors or other additives. I also really love that they are in convenient pouches. I can feed her anywhere I go and never have to worry about bowls and spoons. But, when she prefers a spoon, I can just squeeze the pouch into a bowl. So easy. As a mom, I have a lot of really hard decisions to make, and I love when there is an obvious choice in front of me that makes perfect sense. 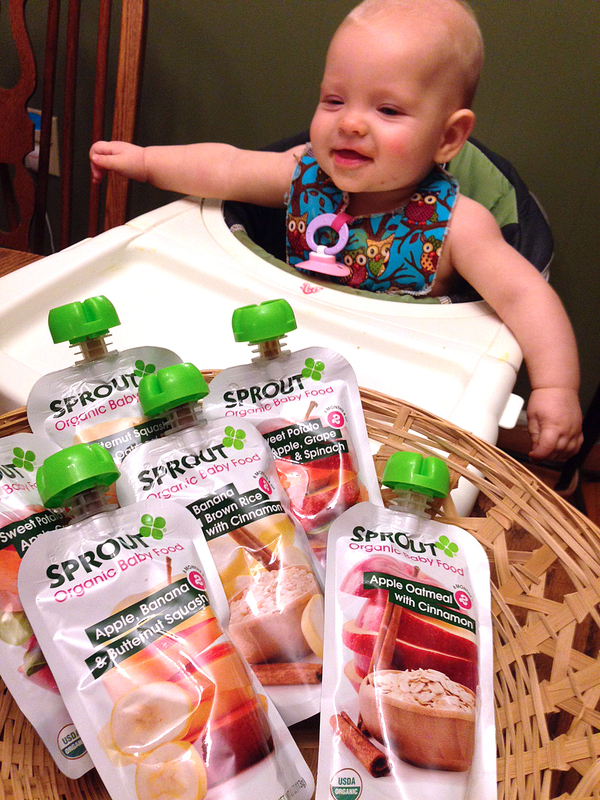 Sprout® Organic baby food has been that choice for us and I’m so happy it’s available to me.